Down the road from the Currituck Lighthouse, the Whalehead Club, the Corolla Chapel and the Outer Banks Center for Wildlife Education is an old village where much restoration has occurred. 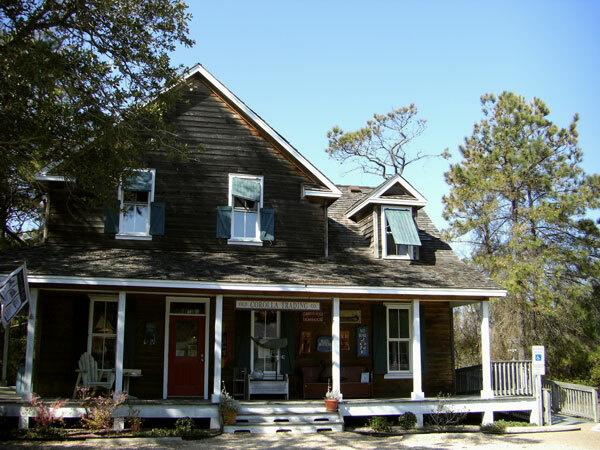 While modern conveniences, vacation homes, and attractions have steadily sprouted up all around Corolla Village, it has managed to maintain a quiet air of authenticity, thanks largely to the restoration and preservation efforts of Doug and Sharon Twiddy. 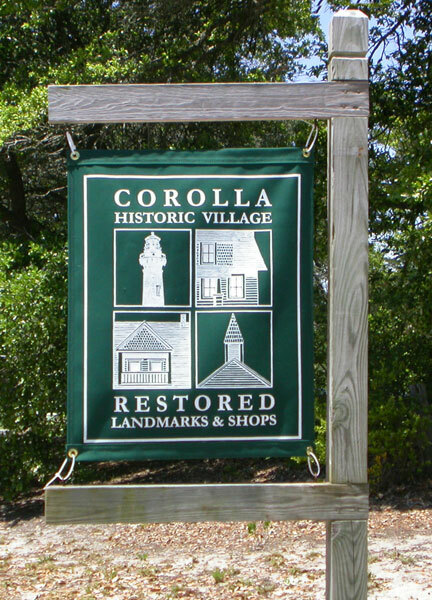 A stark contrast to the newly developed Outer Banks beaches, Corolla has more nationally recognized historic buildings than any other area of the Outer Banks of North Carolina - all within a 100+ acre area. Having recognized the close cluster of historic treasures in the village, the Twiddys’ desire to save the deteriorating structures, while enhancing visiting vacationers’ experiences, started to become a reality. One by one, owners of the old homes began to approach the Twiddys, having heard of their preservation work and desire to extend it into the village. And, one by one, the Twiddys purchased these homes and began to reinvigorate both the buildings and Corolla Village. Originally using the area as their hunting and fishing grounds, Native Americans occupying the Currituck mainland dubbed the northern portion of the barrier island now known as the Outer Banks “Currituck”, meaning “land of the wild goose.” Millions of ducks and geese heading south each fall were said to have detoured to Currituck’s shores to feed on the wealth of aquatic plants. Europeans eventually settled the area in the 1600s, also residing largely on the mainland as the Currituck Outer Banks was only accessible by boat. By the mid-1800s, there were several – albeit small and isolated – communities along the northern Outer Banks. There was Poyners Hill (situated between what is now Duck and Corolla) and Jones Hill, a.k.a. Whalehead or Currituck Beach (now known as Corolla). To its north was Seagull (near Penny’s Hill in what is now commonly known as the four-wheel-drive area) and Wash Woods, which was just north of the Virginia line in what is now False Cape State Park. In 1874, the US Lifesaving Service established the Jones Hill Lifesaving Station (later known as the Currituck Beach Lifesaving Station) just east of the current Currituck Beach Lighthouse site. The station was manned by seven local men, who lived there while their families set up homes in the surrounding village. 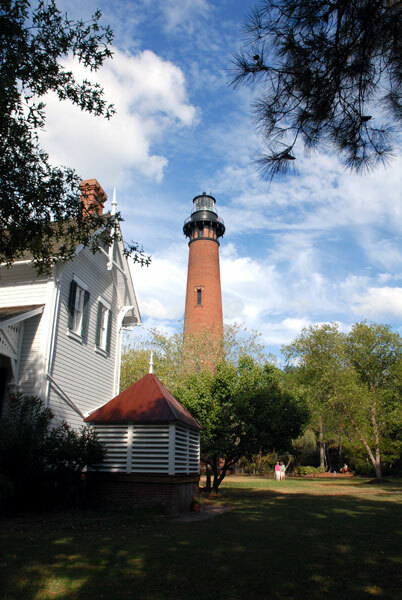 Establishment of the Currituck Beach Lighthouse in 1875 contributed several more village residents as light keepers and their families took up residence. The secure government jobs provided by the Lighthouse and the Lifesaving station encouraged strong and steady growth. It is believed that more than 200 people lived in Corolla village in 1890. Original residents were self-reliant. Their modest lifestyle was supported by way of fishing and hunting. They planted gardens and raised livestock to keep their families fed. Shipwrecks provided a plethora of goods and supplies which washed ashore. Trips by boat to the mainland were made to sell fish and fowl, stock up on supplies and to visit family and friends. Wealthy hunters visiting Corolla’s shores (often referring to the area as a “Sportsman’s Paradise” due to its abundance of waterfowl) were in need of hunting guides, and the villagers gladly – and expertly - obliged. By 1895, Jones Hill was busy enough for its own post office. 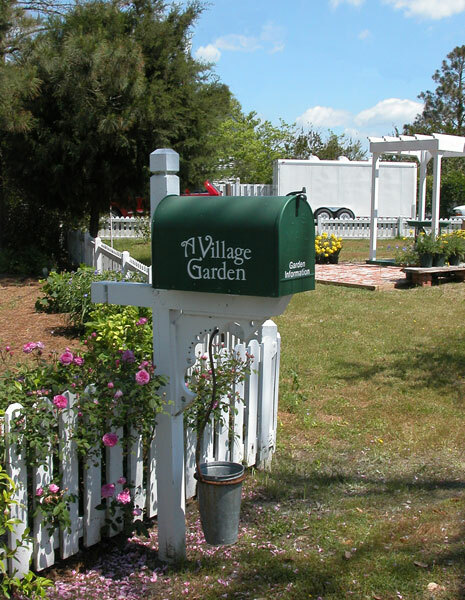 Known for often changing the locally established names of Outer Banks villages, the Postal Service prompted villagers to submit their suggestions for the village’s official name. It has been said that Jones Hill and Currituck Beach were being considered and they were looking for other suggestions when - no doubt inspired by the abundance of wildflowers in the village - mention that the inner part of a flower is called a “Corolla” piqued their interest. This name was officially submitted and selected by the Postal Service, permanently establishing “Corolla” as the village’s namesake. Soon, Corolla was large enough to support a church and schoolhouse. In 1905, Currituck County provided a teacher and textbooks, enabling all local children to attend one school rather than being split up amongst several small independently run schools. The nearest public school was several miles across the sound, which presented the obvious difficulties of water transportation and safety. To travel by land to the nearest school would require a round trip of 70 miles. In 1922, other work opportunities developed when Edward and Marie Louise-Bel Knight used their wealth to build a hunt club. It was originally known as Corolla Island and now as the Whalehead Club. Local men were hired as both caretakers and hunting guides. In later years, while the Depression oppressed the rest of the country, villagers were able to survive off the land and sea. World War II ushered in yet another change to village life. The Whalehead Club was leased by the US Coast Guard as a training base, bringing hundreds of sailors to the village. Barracks and support buildings were established around the village and on the beach near the Coast Guard Station (what was the Lifesaving Station). The village swelled with its new population of servicemen, and the local church, general store and post office were teeming with activity. The schoolhouse was extended to accommodate more students and a lunchroom. In the 1940s, the village population peaked at almost 1,000 year-round residents. Close association with the Coast Guard also proved to be precarious. German U-boats skimmed the shores of the Outer Banks, forcing locals to adjust their routine. Windows were darkened and headlights were forbidden when driving on the beach at night. After the war, however, the village population dwindled. Some believe that depletion in waterfowl population and changes in migration pattern also contributed to families leaving, as many made their living as hunting guides. Many residents moved to the mainland in search of jobs. Many of the historic structures sat dormant and fell into serious disrepair. The lighthouse, although electrified in 1938, no longer required several keepers, but only one caretaker. While electricity was introduced to village homes in 1955, population dipped to its lowest in the late 1950s. With only three families residing in Corolla, the schoolhouse closed due to lack of students. 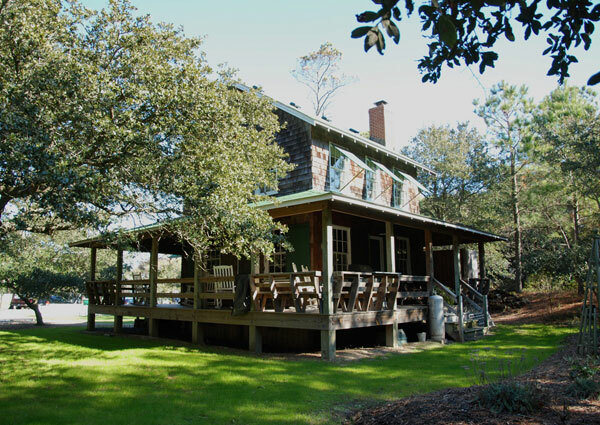 The Whalehead Club no longer hosted gaggles of eager hunters, but was used as a boys’ school – Corolla Academy – during the summer and later to become a rocket fuel testing facility. By the 1970s, only 15 people lived in Corolla. Seldom use of the dirt path leading north to Corolla rendered it virtually impassable. The Whalehead Club and Lighthouse buildings stood crumbling. While Corolla appeared to be deteriorating, residents and adventuresome vacationers found the rugged coastal terrain positively alluring. Vacationing Virginians made the trek to Corolla by way of the beach and more southerly serenity seekers drove up the beach from Duck. In 1974, US Fish and Wildlife gated the Virginia border to protect Back Bay National Wildlife Refuge from excessive traffic and keys were only distributed to Corolla residents. In 1975, a private road was built from Duck to Whalehead by developers, also manned by a guard gate at its threshold and accessible only by property owners. There was no public paved road to Corolla. In 1979, a new ribbon of public asphalt extended into Duck village, ending after what is now Sanderling. Finally, in 1984 the southern-most guard gate was removed when the state commanded maintenance of the road. The paved road was extended from Sanderling north through Corolla village, connecting to the previously paved section through The Villages at Ocean Hill and ending just on the cusp of the four-wheel drive beaches, as it remains today. The NC/VA border remains gated. Only a few Corolla residents having a “grandfathered” key are able to drive through the gate. Curtis and Blanche Gray built this house before 1918, possibly as early as 1896. Some say that Mrs. Gray, who, for a while was the Corolla schoolteacher, designed the house herself. Historians believe it is more likely that the plans for the house were purchased from a catalog of house designs, which was done quite often in the early 20th century. Mr. Gray was Corolla’s postmaster, merchant, and grocer. His store was next door to his house (later to be moved and then burned). Soon after moving in, Mrs. Gray contracted influenza and died. (It has been said that her spirit still amicably inhabits the blue room upstairs, infusing it with a heightened feeling of warmth and comfort). 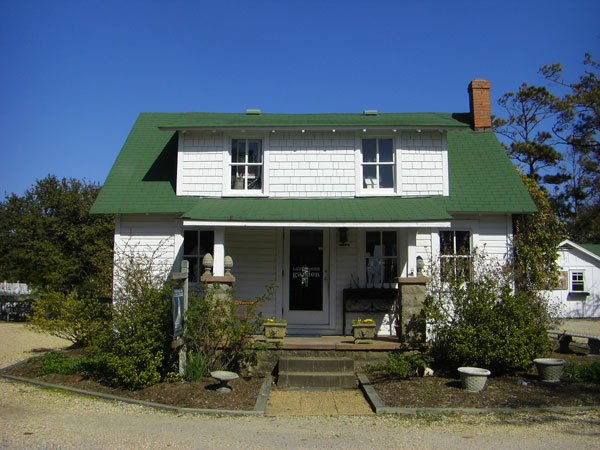 After Blanche passed, Mr. Gray traded his home and the post office for the home of Mr. Harold Hampton of Waterlily and then relocated to the Currituck mainland. In later years, Humphrey and Gertie Lewark purchased the home from Mr. Hampton and raised their three children there in the village. Their daughter Odessa would eventually inherit the house and later left it to her son, William Griggs. This charming structure is the only example of an early Colonial Revival frame bungalow in the village, with Neoclassical Revival and Craftsman style exterior details. The main structure’s original molded weatherboarding is intact, and the one-story rear ell wears its original German siding. In 1925, the kitchen and dining room were added, and the original exterior siding still covers the walls. The unusual front dormer balcony still wears its original hexagonal gable shingles, plain rail balustrade and weather-boarded “cheeks”, which lent protection against harsh winds. Curiously, there is no door leading to the balcony, leaving residents to crawl out a window should they want to access the space. The home still enjoys some of its original interior structural features, as well. Beadboard ceilings and walls and simple door and window surrounds add to its interest and charm. A mix of interior wood and trim exemplifies the villagers’ knack for creatively using salvaged materials in their constructions. This home was restored in 1998 by the Twiddys and is now Lovie's Salon & Spa. Lovie's is an eclectic boutique for beauty and well-being with a bohemian vibe. 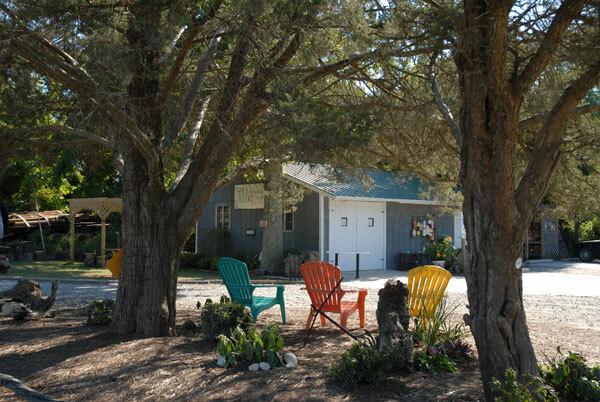 Offering salon and spa services, as well as wedding day services, Lovie's is the ultimate destination for relaxation in Corolla Village! This outbuilding to the Gray-Lewark house was built by Humphrey Lewark around 1920. Lewark used the lower level as a workshop and the upper level to the store hunting equipment and decoys. The roof pitch, window trim and board-and-batten exterior are in keeping with the style of other buildings in the village. During the restoration, antique duck decoys were found in the attic. This building was restored in 1998 by the Twiddys and houses a photography studio, Bruce Lorenz Fine Photography. The Twiddys also restored the Gray-Lewark smokehouse to its original condition in 2008. 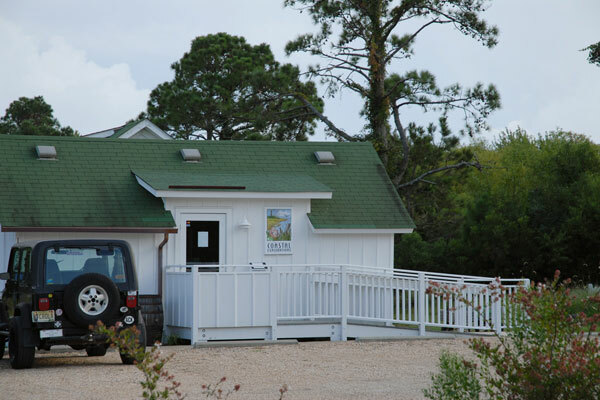 At first it housed Coastal Explorations, a locally-born touring company specializing in kayak outings and custom coastal adventures, whose boardwalk and shop site are now located across the street from the restored Corolla Schoolhouse. 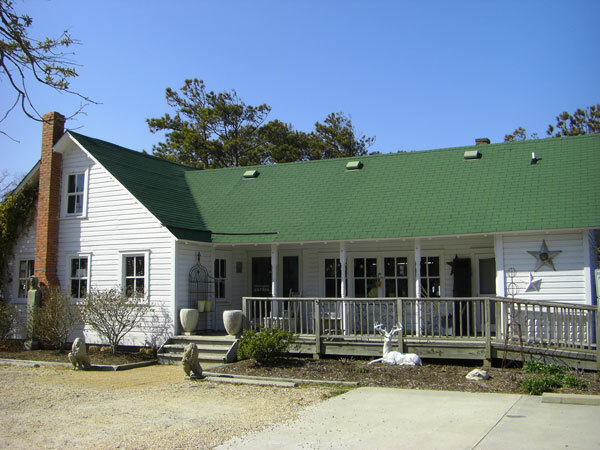 An example of early Outer Banks architecture, this home was built by Mr. Walter Parker in the early 1900’s. Originally located slightly further up Corolla Village Road in an area called Theodore’s Landing, it was rolled on logs to its current location in the 1920s. Mr. Parker later sold the house to Humphrey Lewark, who owned the nearby Gray-Lewark House. Mr. Lewark’s daughter, Helen, eventually inherited the house but then married Elwood Parker, so the house ended up back in its original family. Helen and Elwood lived further south, but used this house as a vacation cottage. The one-and-a-half story, side-gable house, with shaped rafter ends on the eaves and German siding pre-dates the Craftsman style that was so popular after 1920. Area resources that were available such as sand and shells were used to make the concrete for the foundation and steps. In addition, the original roof boards were all different sizes, indicating they were scavenged from the beach. After its move, a one-story rear ell, breezeway and the front shed dormer were added. The house was restored by the Twiddys in 1999 and converted into Lighthouse Garden, a home and garden shop. The shop used many of the old doors, shutters and windows as display tables and has its original bead board walls and wood floors. The Parker house is now home to the Corolla Wild Horse Fund, which invites you to experience the beauty and grandeur of North Carolina's treasured Wild Spanish Mustangs. Open year-round and free to the public, this interactive wild horse museum and store features gentled Spanish Mustang rides from Memorial Day to Labor Day. Situated beside the Parker house, this building was used as a garage and outbuilding. 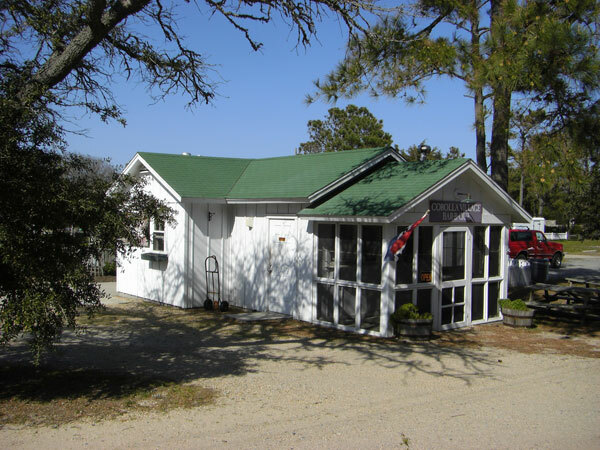 Restored by the Twiddys in 2000, it is now Corolla Village BBQ, specializing in NC-style BBQ. Just east of the old Corolla Schoolhouse sits a fine example of traditional “Nags Head Style” vernacular, a striking contrast to the white clapboard cottages indigenous to Corolla village. Built in Kill Devil Hills by the Gard family of Elizabeth City as a vacation retreat in 1936, the family offered to sell it to Doug and Sharon Twiddy in 2000. The charming old house tells a story of many generations of families with growing children, evident by the names, dates and heights inscribed in three door jams inside the house. While its architectural style is clearly inconsistent with that of the other old homes and outbuildings in the village, it gives a sense of how differently things were constructed down the beach in those days as well as points out the uniqueness and ingenuity of the Corolla villagers in the construction of their own homes. The Twiddys’ move and restoration took place in 2000 and the home now serves as a private office. More of a re-creation than a restoration, A Village Garden was born in the fall of 2001. The idea for this authentic Corolla Village garden grew out of locals’ accounts of abundant vegetable gardens and multitudes of indigenous plants, herbs and flowers during the village’s heyday. In the early 1900’s, Corolla village residents either grew, caught or killed their fare. Gardens were a way of life, providing fresh produce in the summer and canned goods in the cold winter months. Situated on the sound side of the island, villagers’ gardens were protected from the harsh salt winds coming off the ocean. Corolla’s southerly climate hosted generously long growing seasons, providing villagers with a diet rich in fruits and vegetables. A stroll through this vibrant garden provides visitors with a glance into the past through its variety of indigenous and heirloom plants. The garden hosts five raised beds, an herb garden, a butterfly garden, garlic and basil garden, vegetable garden and a cutting garden. A “found” garden is also blossoming with species that are native to the area. Focusing on heirloom and older varieties of plants, many of the garden’s blooms, bulbs, buds and produce could have been found growing in the very same village at the turn of the last century. 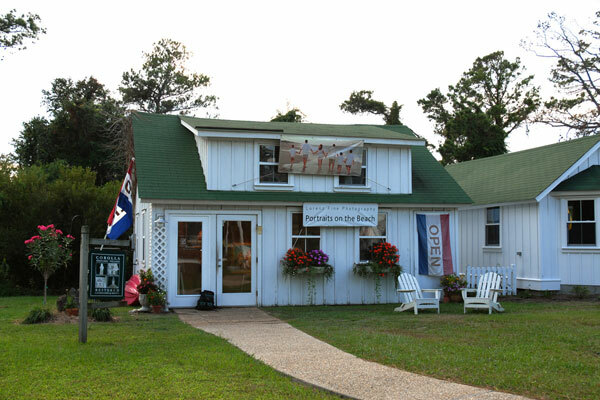 In 2000, The Island Bookstore was built in the footprint of the old Callie Parker General Store and connects to A Greener Shade of You, an organic women’s clothing boutique. 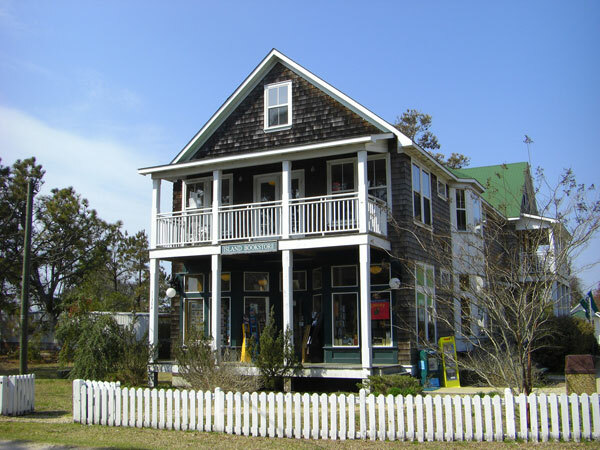 The Old Corolla Trading Company was built in an Outer Banks vernacular style. 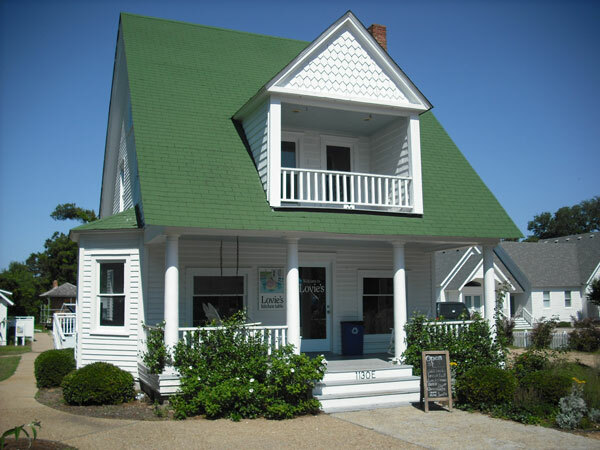 Spry Creek Dry Goods is adjacent to an old home that has housed many longtime Outer Banks families.